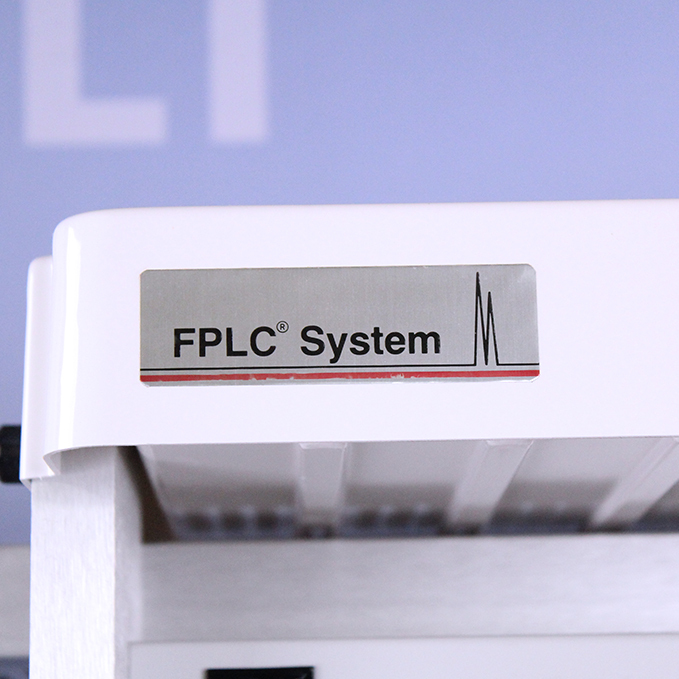 The Pharmacia BioTech FPLC is used for methods development and the purification of large quantities of various bimolecular, such as protein and DNA. 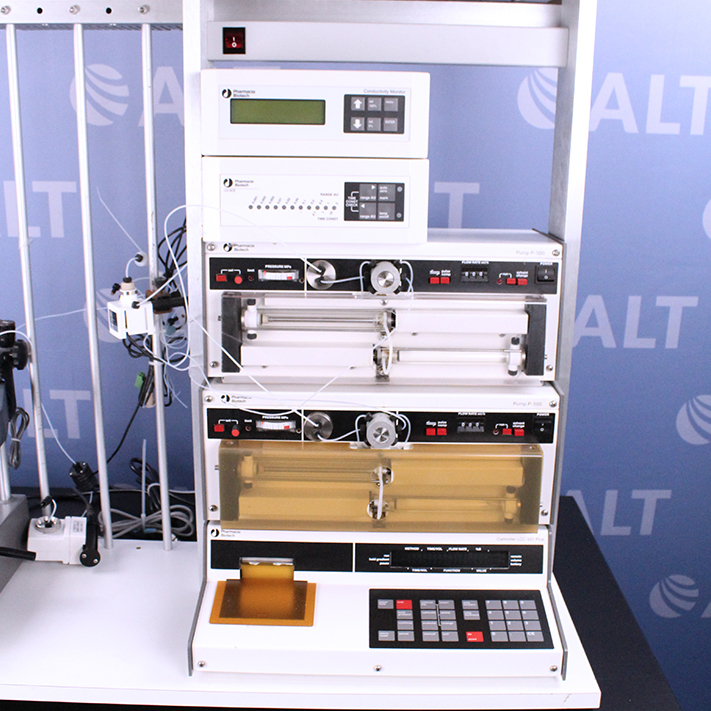 The system includes two pumps capable of continuous flow to the purification columns, the peristaltic pump may be used for column equilibration. 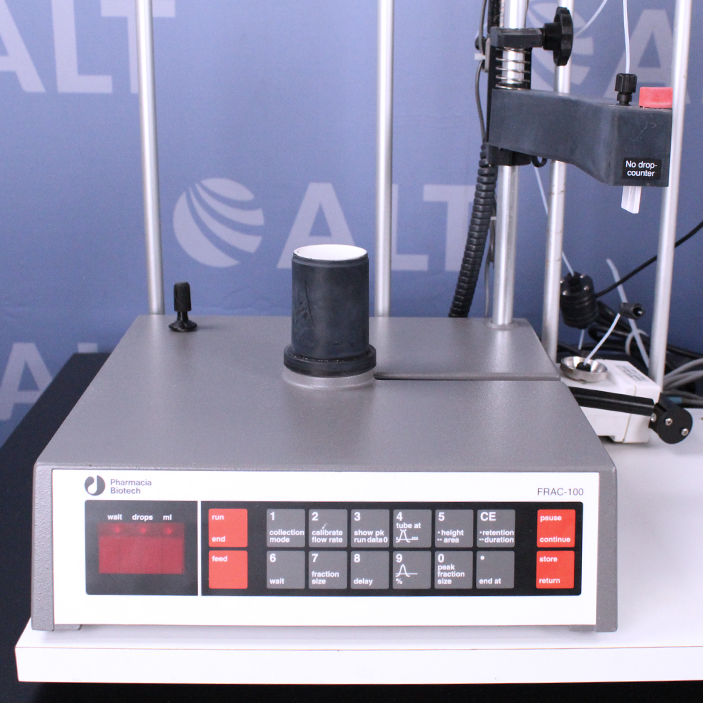 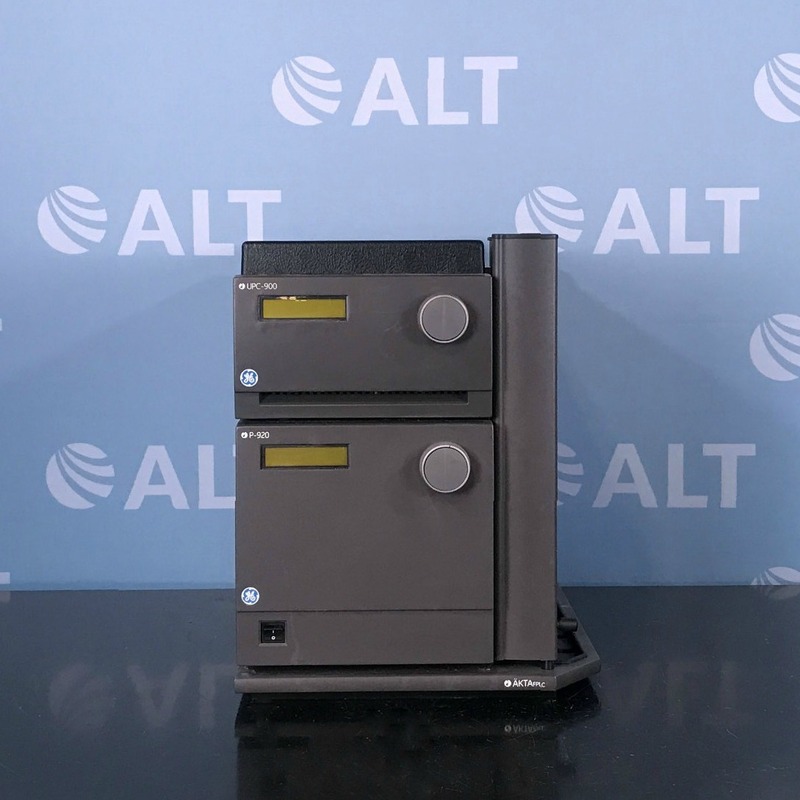 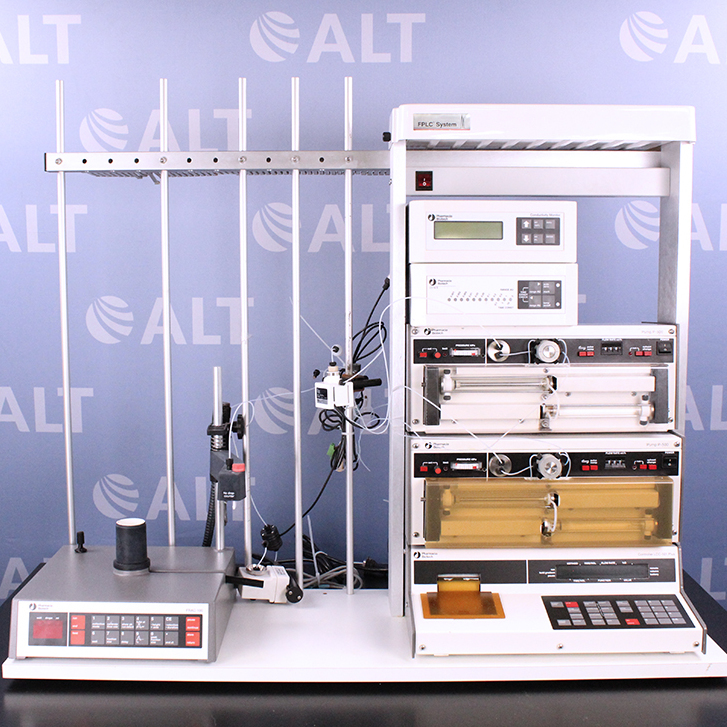 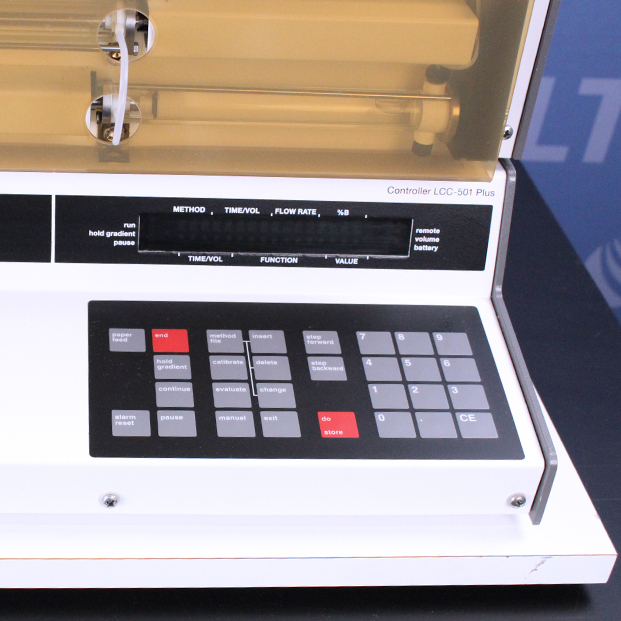 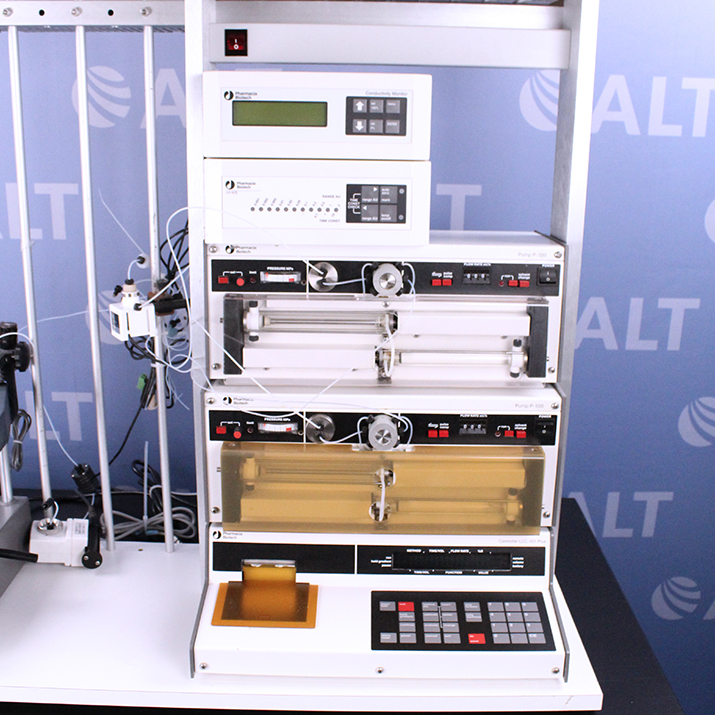 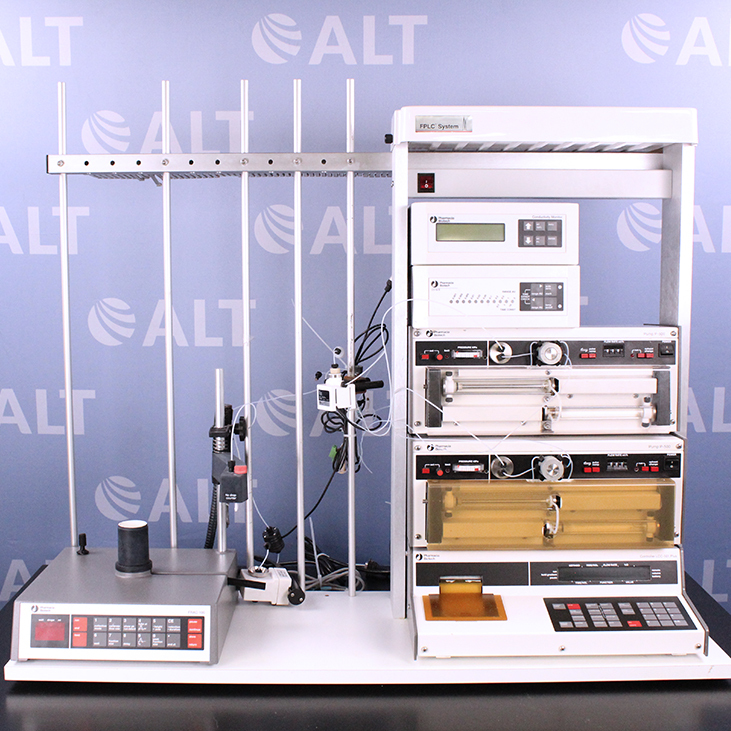 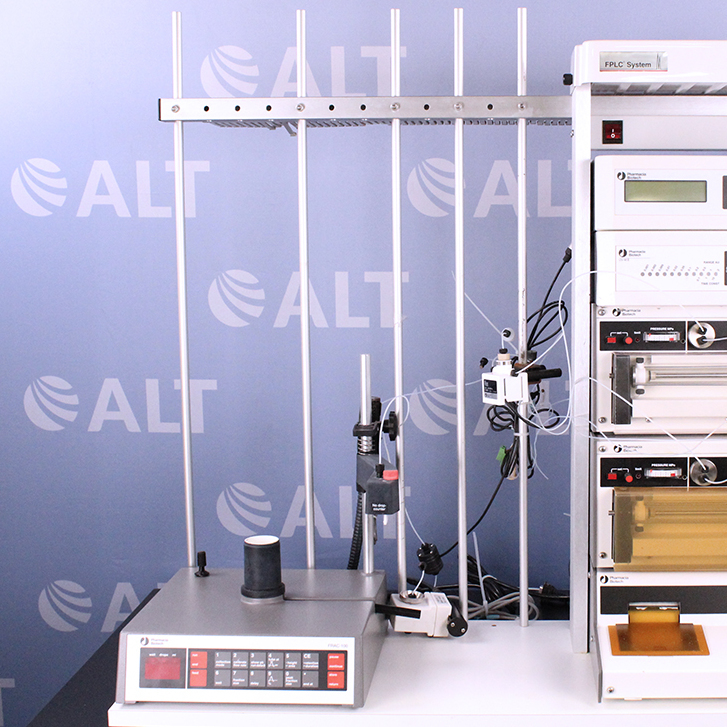 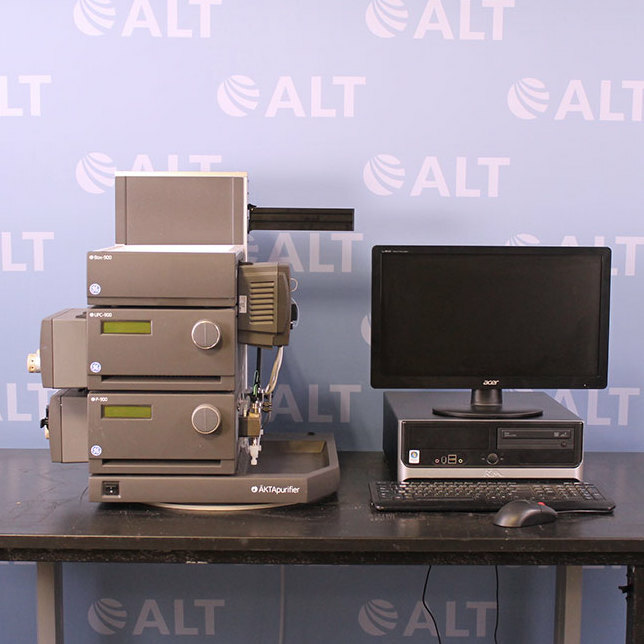 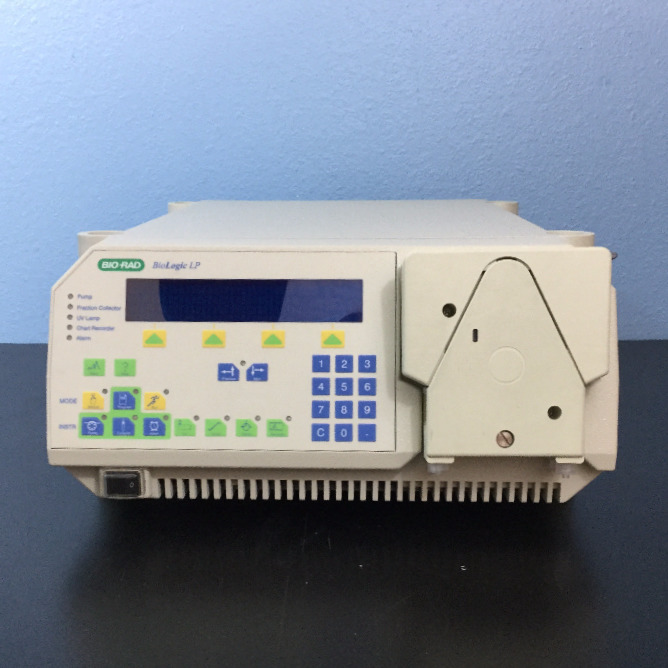 Also includes a UV monitor to detect bimolecular on the column, a mixer to produce elution gradients, motor valves to assist with sample injection, a controller with an integration function for computerized operation of various programs directing flow to the pumps and controlling the motor valves. 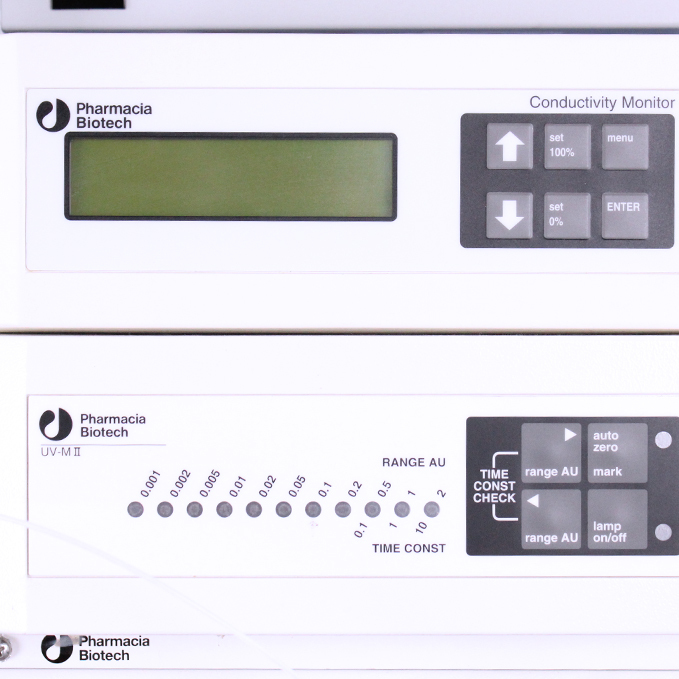 Our system includes: 2 P-500 Pumps , 1 LCC-501 Plus Controller, 1 LKB Redifrac Fraction Collector, 1 UV-MII monitor, 1 Conductivity Detector, 1 MV-7 Valve, 2 MV-8 Valves, 1 Mixer (5MPa) and rack.